Overwhelmed by Applications from College Grads? An ATS Can Help! It’s that time of year again. As members of the Class of 2016 near their final days of classes, more and more applications for your entry-level positions may be inevitably pouring in. If you do not have a streamlined, automated process to manage the flood of applications from recent grads, you may be feeling overwhelmed. Your manual processes may make it tough to differentiate between so many seemingly similar candidates. Fortunately, an Applicant Tracking System (ATS) can help you automate your recruiting procedures and easily organize all the college grad applications. In fact, an ATS provides an array of benefits, three of which are highlighted below. Manually reviewing a great deal of applications can be arduous and inefficient. Recruitingblogs.com asserts, “It is likely that some of the millennial applicants have not even read the job description, let alone researched your company. 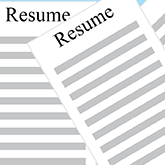 The result: companies are receiving more resumes, which does not always translate into good applicant fit or quality. On top of that it, sorting through resumes is time-consuming.” Luckily, the robust searching function of an ATS can help you sort through the countless applications you may be receiving. Strong reporting capabilities can further reduce recruiter time and effort. You can quickly find the information you need and create higher-level reports that help eliminate the administrative functions you may currently face, and help you focus on what you do best: find the best talent for the organization efficiently and effectively. Once you have found the ideal candidates, keeping track of your correspondence with several individuals is essential. According to Forbes, if you do not have an ATS, “chances are the details from all of your informal conversations with potential candidates, screening calls, and in person interviews are scattered across email, spreadsheets, Slack, and notebooks.” An ATS will allow you to house all applicant information and communication in a single, easily-accessible location, saving you a great deal of time, and reducing the potential for any mix-ups between candidates. Enterprise Holdings, the car rental company, hires thousands of new graduates each year as part of its management training program. It uses iCIMS, a type of talent acquisition software, to sort through volumes of candidates, generally 50,000 a month, and identify those who meet five or so minimum requirements, including a bachelor’s degree, satisfactory driving record and some kind of leadership position or customer service experience. Candidates who pass the screening process are then connected with a recruiter. Without an ATS, Enterprise Holdings would undoubtedly be overwhelmed by the amount of applications submitted by the Class of 2016. Additionally, the process of finding good-fit candidates would require a great deal of time and manual effort. Ideal applicants could easily be overlooked without the help of an ATS’ robust functionalities, and business could quickly suffer without the right talent in place. Fortunately, Enterprise Holdings has iCIMS to help combat inefficiencies in the recruiting process.